The poetry collection Voodoo Hypothesis was informed by her experience growing up in the diaspora, explores race, oppression and colonialism through a folkloric lens. 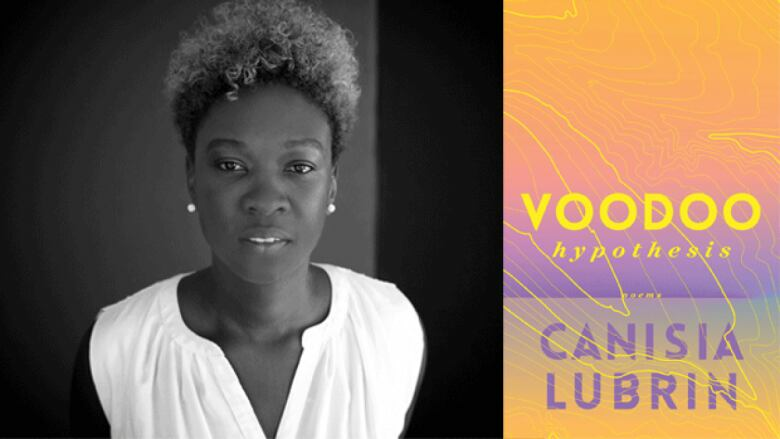 Canisia Lubrin explores the legacy of slavery and the cultural forces that have shaped Black identity through the ages in her debut poetry collection, Voodoo Hypothesis. In the process, she draws from a range of sources from astronomy and cartography to religion and popular culture. This interview originally aired on Feb. 19, 2018. "The earliest memory I have of being in any kind of artistic practice was being with my grandmother. She used to tell my brother and I folktales, stories and folk songs every night. That introduction to story, voice and language is something that extended throughout my childhood, even if I did lose my grandmother early on in my life. There's this rawness to St. Lucia and the landscape itself, a certain beauty and lushness to that place that feeds into the imagination. You can't help but be constantly astonished by waking up every day and seeing how the light falls and how the light slants through the valley and just being in a community setting that's unhindered by a lot of technology." "Looking at the afterlife of slavery and how what we think we've left behind and entering a kind of newness, a new world — it haunts us still. We take those things with us, even in ways we don't necessarily understand or recognize and those things play out in the present. When I look at the Caribbean, when I look at St. Lucia, my sense of home is really complicated. This is something that just didn't exist for me before I moved to Canada. When I go back, there's celebration. You go back and you feel nostalgia, but there's always a sense of loss, trauma and exigencies of exile in that sense, even if it's a willing exile. It still confounds your identity, who you think you are, how you relate to what you've left behind. Those things persist and they take on a life of their own." "My relationship with language evolves daily. If we look at the history and development of language over time, we see how ideas are transmitted through space and time. Language has the capacity not just to expand the mind, but to contain a certain significance that is otherwise lost. Because of this capacity, poetry in particular has the opportunity to show us that there is so much more to what language actually is and what it does. It traverses boundaries and landscapes. There's a reason why we can probably write something that's based in Toronto and someone reading it in Tel Aviv can feel immediately transported. I think language is the democratic power we have as a species." Canisia Lubrin​'s comments have been edited and condensed.